Persona 5’s Joker has been making the rounds lately. Right off the heels of the Super Smash Bros. Ultimate announcement, he’s now set to be a playable character in the upcoming title Catherine: Full Body. The game will be a remaster of the PlayStation 3 and Xbox 360 game Catherine, a puzzle-platformer released back in 2011. 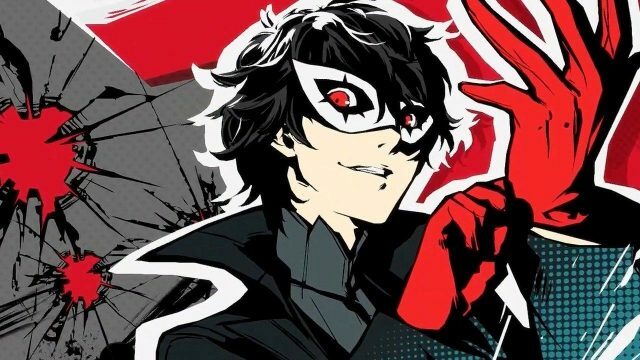 Joker and other Persona 5 content were announced back in September, but there is now footage of the game’s protagonist solving puzzles using his quick speed. Other new additions in Full Body include a new playable character named Rin, a pianist at the Stray Sheep. She will cause a split between the two other main characters, Catherine and Katherine. In the Japanese release, you’ll also be able to change Catherine’s voice with up to 11 different vocals to choose from. Aside from Joker, there will also be Persona 5 skins. The Phantom Thieves will also appear in the game throughout various cutscenes. As was announced earlier this month at the Video Game Awards 2018, Joker will also be playable as one of the first Smash Bros. Ultimate DLC characters included in the Fighter’s Pass. No gameplay footage was shown, but like with other characters there will be a new stage and five music tracks from the Persona series set to the in the game. This comes as Persona 5 has continued to sustain its popularity both in Japan and the west since its worldwide release last year. As of 2017, the game has shipped 1.5 million units worldwide. Persona Q2 for the Nintendo 3DS, which has already been released in Japan, is set for a western release in the near future. A new Persona fighting game is also in development, though there are no details on when it will come out. Catherine: Full Body is set for a February 14, 2019 release in Japan for the PlayStation 4 and Vita. A PlayStation 4 release has been announced for the west, but doesn’t currently have a release date.